If your shoulders are broader than your hips, your bottom half is on the less-curvy side and you tend to carry weight in your midsection, there’s a great chance you’re an apple body shape. The best dresses for this shape flaunt your favorite assets, like a fuller bust, well-pronounced collar bones and trim legs. Below, we’ve rounded up all the dress silhouettes that highlight your enviable characteristics! Here are the most flattering dress styles for an apple shape. With a waistline that hits just below the bust and just above the midsection, an empire waist instantly draws the eye to your chest and comfortably conceals your stomach. If you’re an apple shape wanting to play up your arms, empire waist maxi dresses are perfect for you; if you want to showcase your legs, opt for an empire waist dress that ends mid-thigh. 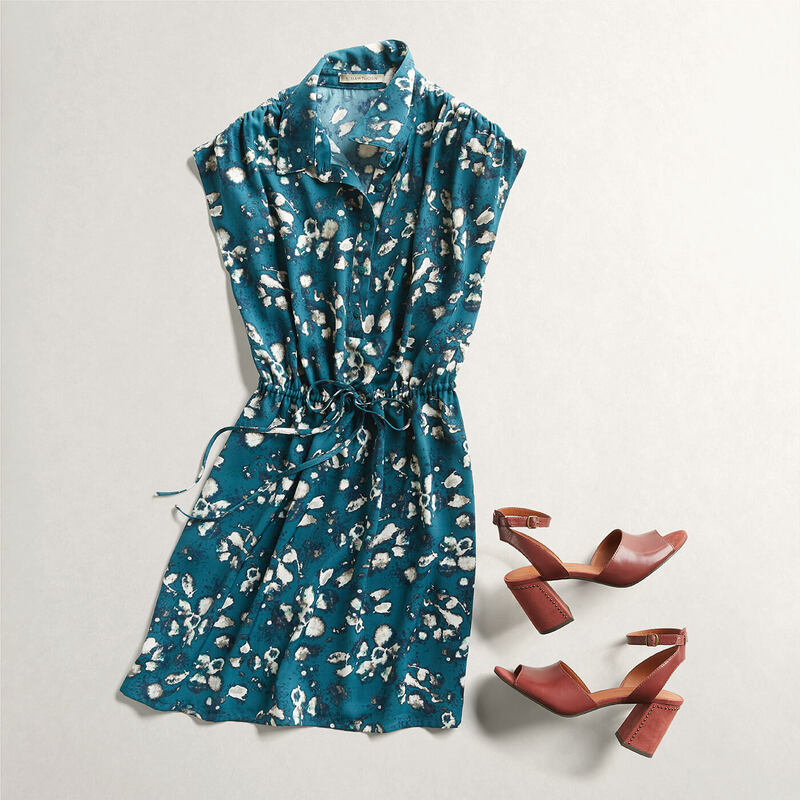 A shirtdress with an adjustable tie gives you the autonomy to define your waistline as much or as little as you’d like. Similarly, the universally-flattering wrap dress cinches at the waist, creating an instant hourglass effect. 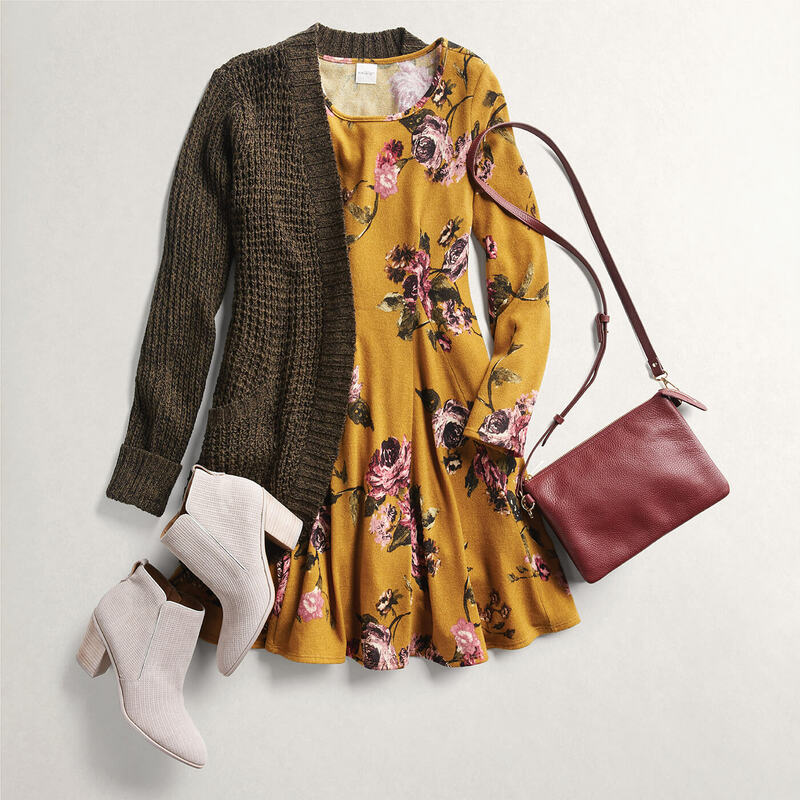 To avoid any clinginess around your midsection, skip the knits and opt for tie-waist dresses made out of structured fabrics like cotton or linen that flow over your curves. The breezy cut of a shift dress comfortably glides over your midsection and draws the eye to your amazing legs. 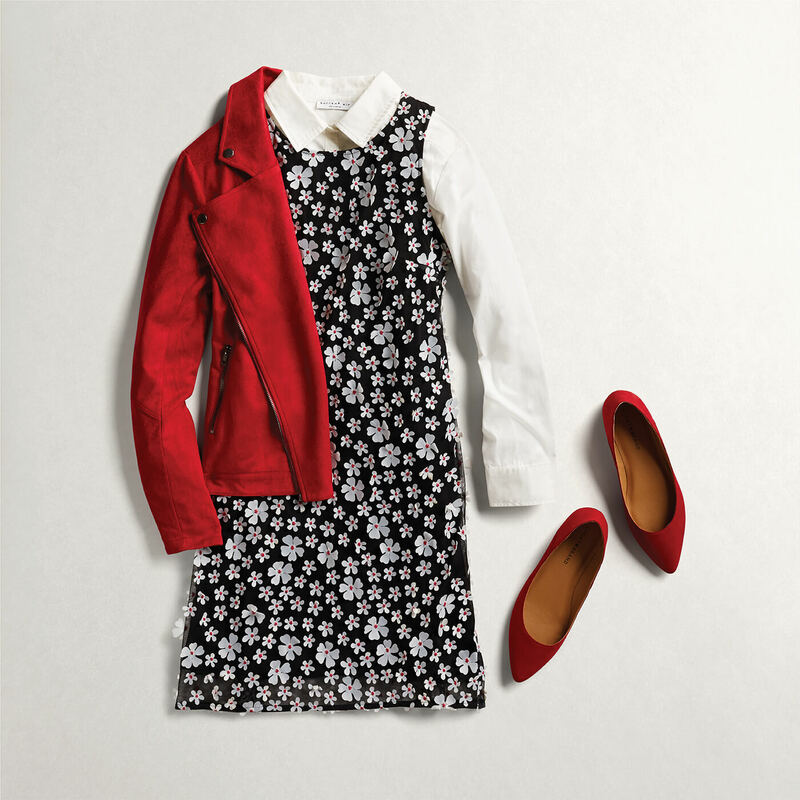 If the looser cut of a shift feels a bit too roomy for you, try layering with a structured, hip-length jacket to give your waistline more definition. Want to try these dress styles now? Let your Stylist know when you schedule your next Fix!